I might have said the previous one was the “final trailer” but this is the real final trailer. I guess? Its weirdly uploaded to the youtube page for Finnish mobile phone company Nokia. Not a spoiler: no Nokia phones in this trailer. It is almost entirely music, lots of action, lots of little snips not seen in previous trailers, and at least two line deliveries that set a dire tone. Nothing about the promotional materials for the last Batman outing made things look this dire actually. I guess since they know this is the last one they want to make it as SERIOUS AS POSSIBLE. Michael Caine and Morgan Freeman thankfully lighten the mood whenever they’re on screen. Notably absent from all trailers and marketing: Marion Cotillard. The MTV Movie Awards are apparently something that still happens and some new The Dark Knight Rises footage was shown last night. This is not really a trailer, its more of a montage of a lot of action with a few story bits sprinkled in. This weekend movie theaters everywhere will be running the trailer for the final act of Christopher Nolan’s Batman trilogy, The Dark Knight Rises. The trailer is intended to play before screenings of The Avengers, so if you’re out for one of the biggest comic adaptations of the year, you’ll get a taste of the other. But as you can see by this post, Warner Bros has graciously gone ahead and posted the trailer online for us to watch on our computer monitors and cell phones. 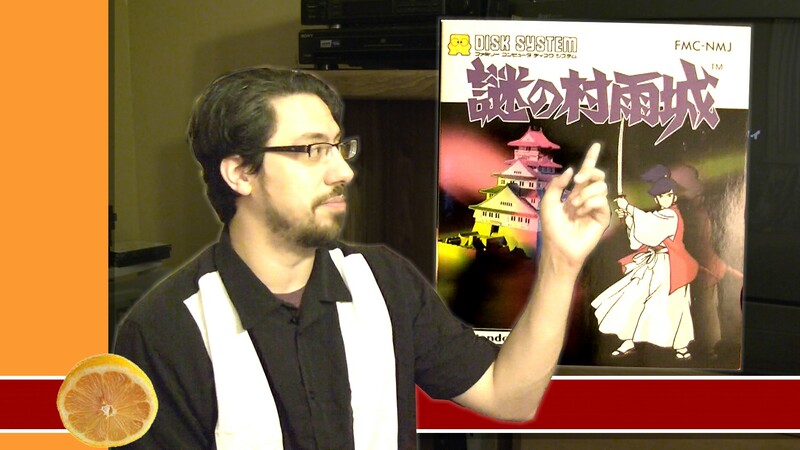 I haven’t watched it yet, trying to save it for the theater. If I crack today and look at it, I’ll post in the comments all my thoughts and reactions. 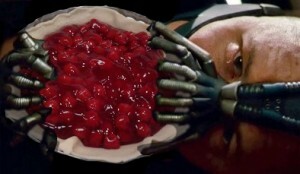 Here’s Bane, played by Tom Hardy, from the Dark Knight Rises, eating a cherry pie! Bane’s mask bears a striking resemblance to the fingers of Kirk Johnson. The name may not be one you’ve heard, but chances are you’ve seen a photo of him. 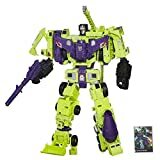 Do you think this is a deliberate reference or is that too much of a stretch? 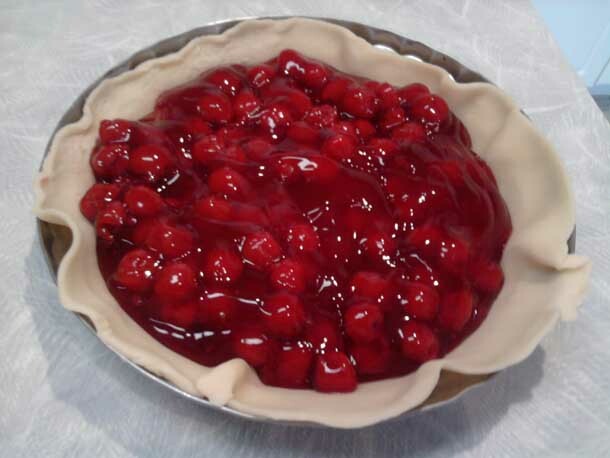 There it is, folks. 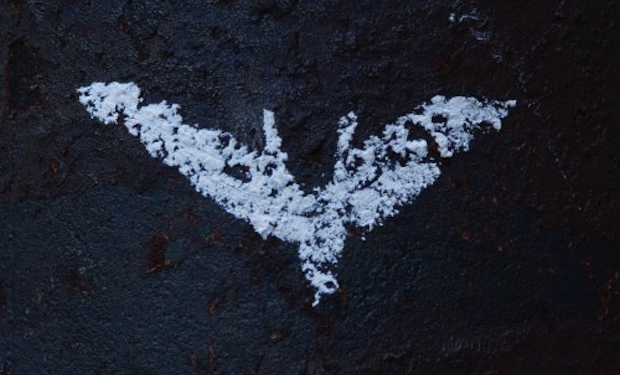 The latest teaser poster for the Dark Knight Rises. 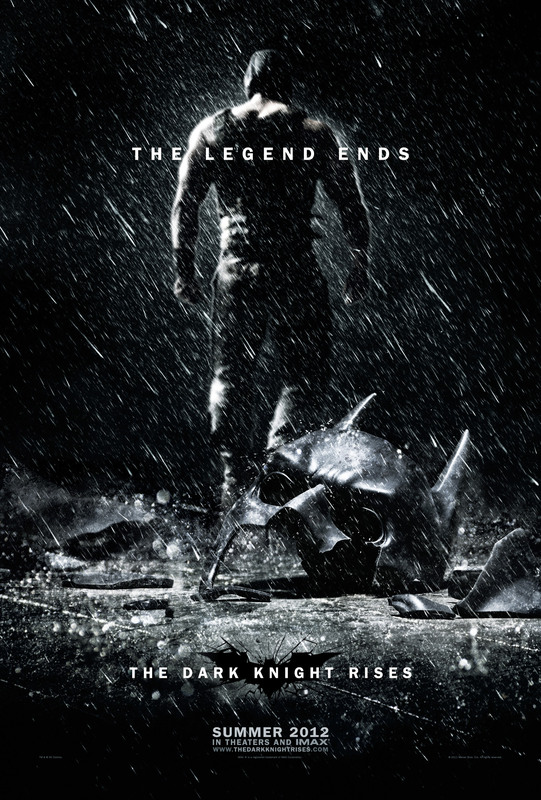 This is the last and final movie starring Christian Bale as Batman. 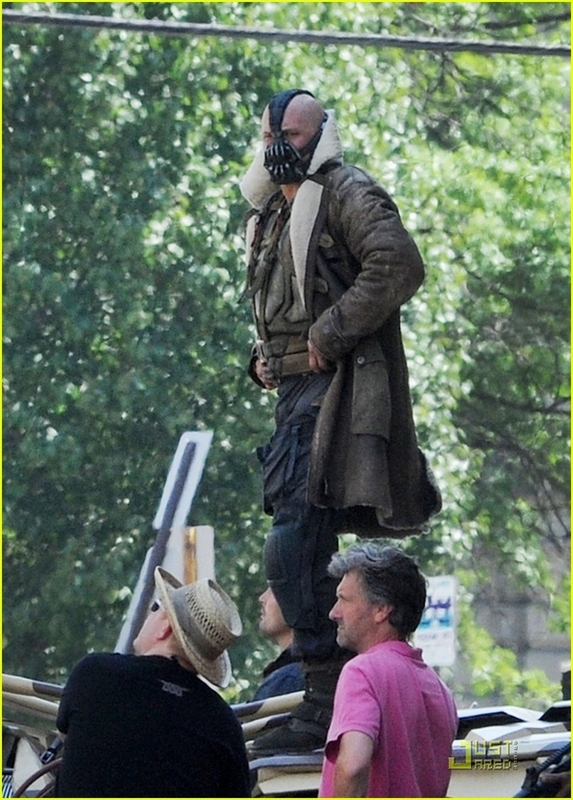 Bane will be played by Tom Hardy, while Catwoman will be portrayed by Anne Hathaway. 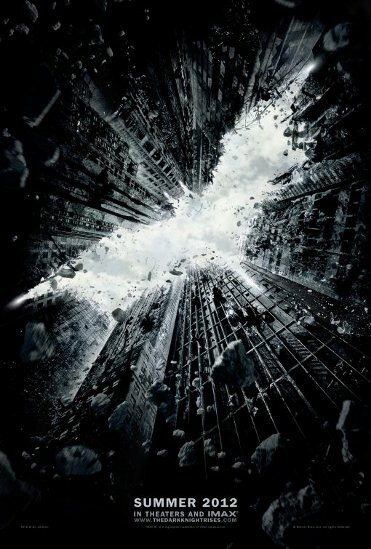 The Dark Knight Rises will arrive in theaters on July 20, 2012. 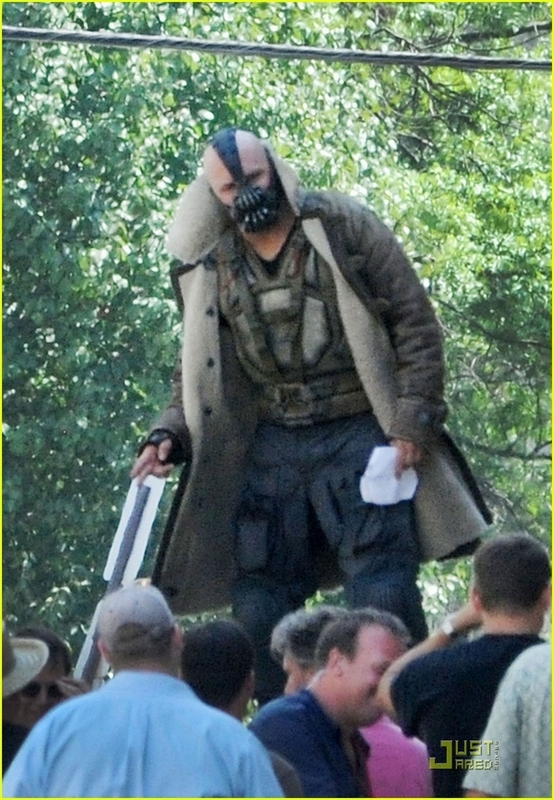 Pictures have surfaced, courtesy of JustJared.com, of Tom Hardy dressed up as Bane on the set of The Dark Knight Rises. You can see the images above.